Meeting Garima is the best thing that has happened in my life. Though we are a little different but we also happen to share interests in plenty of things and among them photography and travelling are the major ones. While Garima is a travel photographer, I am a professional fashion photographer. This year on 11th Feb, we are going to tie the knot. Once the date was decided, we started thinking of doing something out of the box as we both have a genuine knack for craziness as well :D. I am comfortable in front of the camera only when I am taking the shot, so I decided to click our pre-wedding shoot myself and believe me it was full of fun and adventure. Garima decided the outfits and the locations and I took care of the camera and the technical bits. We started with India and then travelled to Stockholm, Iceland, Dubai and Abu Dhabi. Iceland- This place is truly a heaven on earth, full of beauty, waterfalls, greenery, where Ice and fire exist together. I must say this is the best place to get wonderful pictures. 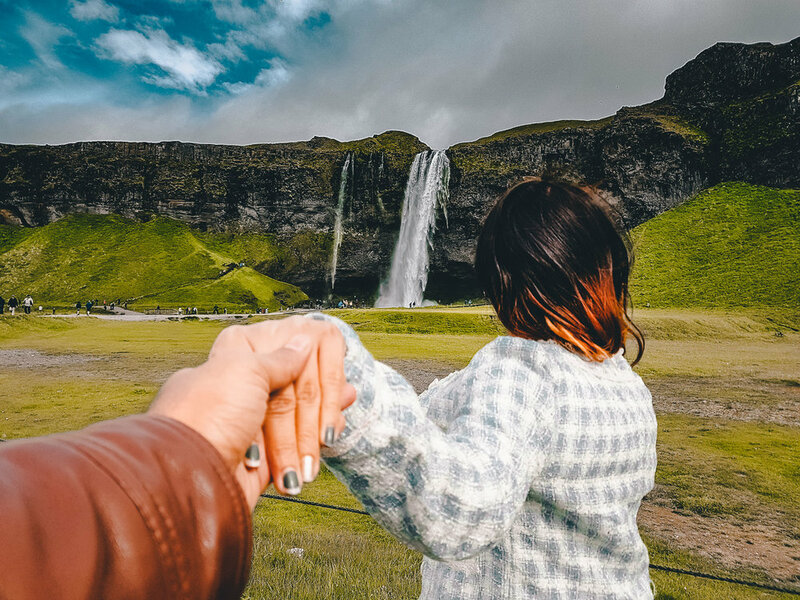 We planned to cover only southern part of Iceland with major attractions like black sand beach, blue lagoon, Skogafoss and Seljalandsfoss waterfall, glacier in Solheimajokull, DC plane. Best part of this shoot was that we have created amazing wonderful memories and we will be going to keep in our heart for life and yes we can't wait to travel the world as husband and wife.